M4A is a file extension for an audio file encoded with advanced audio coding (AAC) which is a lossy compression. Most M4A files of iTunes are DRM protected, and you can't play them freely as you like. WAV is a Microsoft/IBM audio file container format. It is the main format used on Windows systems for storing uncompressed, lossless audio. And the most common WAV audio format is uncompressed audio in the linear pulse code modulation (LPCM) format. There may be some cases that you need to convert your iTunes M4A audio files to WAV format so as to play them on WAV audio player. Because of the DRM limited, users can't use the common Audio Converter to convert these M4A audio files. Macsome iTunes Converter is one ideal helper to remove DRM from M4A and convert to WAV with 10X faster conversion speed and high output quality. 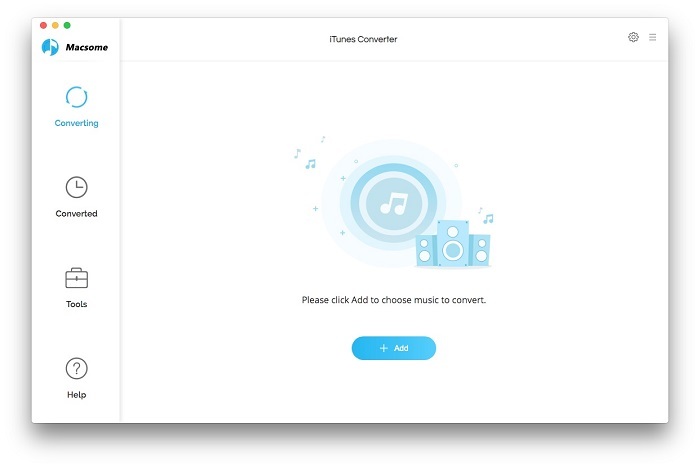 With the iTunes Music Converter, users can convert any audio files on iTunes library, including Music files, downloaded Apple Music files, iTunes Match Music files, protected and unprotected Audiobooks in the format of M4B, M4A, AA, AAX and so to MP3, AAC, WAV easly and quickly. 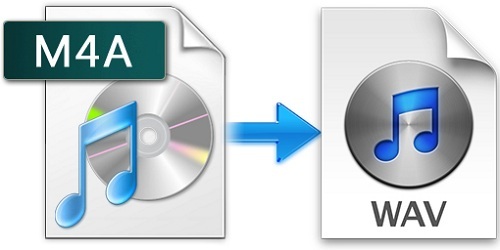 The M4A to WAV Converter is also a DRM removal tool for iTunes. Even the purchased Audiobooks or Apple Music files are DRM protected, you can still remove DRM from these protected music or Audiobooks and convert to WAV, MP3, AAC to meet your need. It bypasses iTunes DRM by recording the encoding audio file silently in the background during the conversion legally and tactfully. 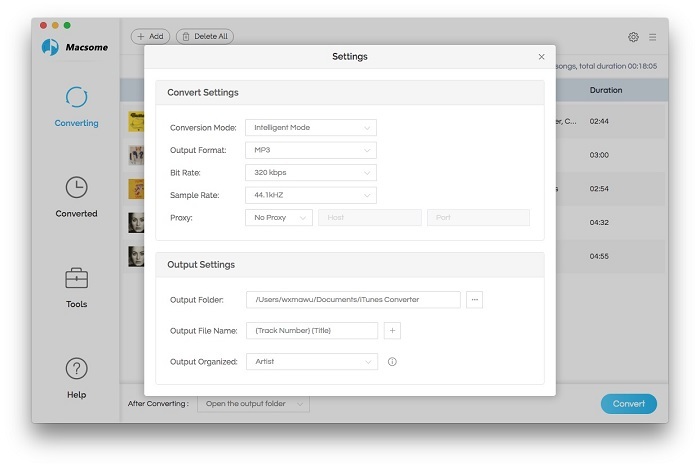 In addition, Macsome iTunes Converter preserves ID tags information of the converted audio files for you, enabling you to edit their ID tags at will after the conversion. Macsome iTunes Converter also lets users customize the MP3, AAC, or WAV output format according to the requirements of your audio players. Bitrate, Bitrate Types, Sample Rate and Channels, all can be adjusted as you wish. With this practical and easy-to-use iTunes to WAV Converter, users can convert music files from M4A to WAV, WAV to MP3, and all iTunes audio file formats to WAV. Though a WAV file will be significantly larger than a MP3 file, the old-version WAV has only one audio channel and WAV files are limited in size to 4 Gigabytes, WAV files are "lossless" files which means that the WAV file doesn't lose any of its quality when it is stored, whereas MP3 files are "lossy" files, has higher audio fidelity than MP3 files, and WAV files can be edited or they can be manipulated relatively easily. So converting to WAV format according to your need. With Macsome iTunes Converter - really practical Audio Converter, it is easy for you to decode iTunes to WAV format. 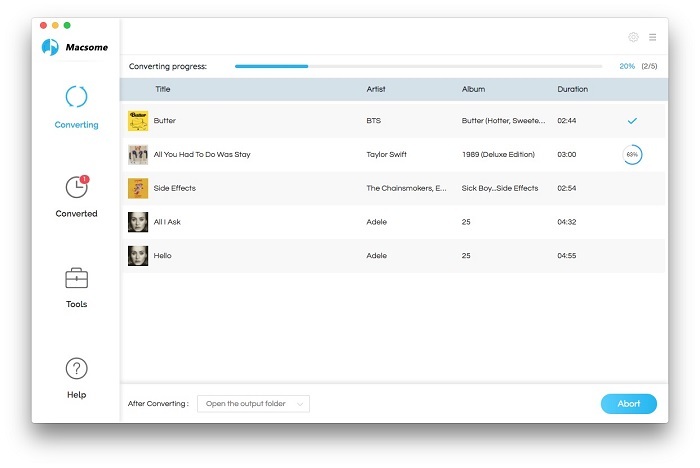 Step 1: Free download the latest version of iTunes Music Converter, install and run it. Step 2. 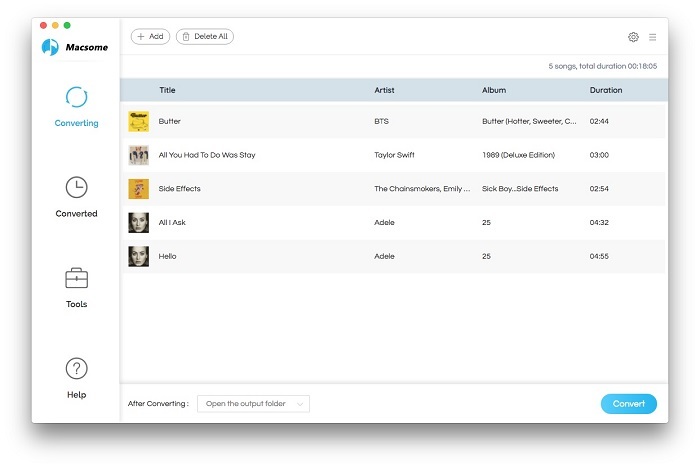 Click Add button to import the music files from Music library of iTunes. Step 3. Click setting icon and set the output audio format. Step 4. Click CONVERT button, and start conversion. After the conversion is completed, you can enjoy the WAV files without limitations.